Our mission is to provide FREE recycling to EVERYONE! Our operations and programs are funded through the recycled materials. We offer FREE drop-off recycling for the public…and FREE pick-up and removal for businesses. 0% waste – 0% landfill – 100% environmentally conscious! 1 Green Planet is a sustainable ZERO waste ZERO landfill recycling operation. All recycling is processed entirely in the state of Washington. No processing work or material is shipped overseas. We are a socially conscious recycling company. We are committed to helping our community, including small and large business, with a one-stop solution for the responsible disposal of unneeded electronics, materials and equipment. We not only specialize in sustainable recycling of all types of electronics and other equipment, but do it with an ethical commitment to our planet and our local community. All recycled items are processed right here in the Pacific NorthWest. We do not send anything to the developing nations for processing! Our completely domestic operation guarantees we never export hazardous materials to other countries or prisons for disassembly. A.R.C.H. Consulting Group is a Seattle-based Industrial Hygiene firm owned and operated by Certified Industrial Hygienists (CIH) who are able to assist in any health and safety concern that you may have. The two CIH owners have worked together for over 10 years and know how to find solutions that work for their clients. Our mission statement; "Professionals who Anticipate, Recognize, Evaluate and Control Hazards to Protect You" is a prudent way to operate not only in the corporate world but also in our personal lives these days. We use this mission statement to investigate and solve occupational health & safety related problems and improve conditions in your manufacturing/industrial facility, in your office or in your home. Using industrial hygiene techniques we document worker exposures to hazardous chemicals, excessive noise and biological materials. Exposures are measured to prove that workers are not being overexposed to hazardous agents and/or to determine what type of control measures are needed to protect the workers. We specialize in chemical and noise exposure assessments, indoor air quality assessments, mold investigations, mold remediation protocols and expert witness testimony. We have used the State of Washington occupational health & safety regulations, the Federal OSHA health and safety regulations, and various other local and State regulations for many years and know how to determine the necessary level of compliance and ensure your facility is meeting the intent of the regulations. Ben’s Cleaner Sales, Inc. has been in business for more than 65 years with a full service cleaning equipment store. From sales to service to rentals, across the street or across the country, Ben’s is the only cleaning expert you need. Founded in 1945 by Ben Meyer and now owned and operated by sons Gordon and Jerry Meyer. We have built our company’s reputation by working with and understanding the original steam cleaning machine, using 325°F heat. In fact, Ben’s is one of the few companies that still sells the steam cleaner, with a unique understanding of its benefits in specific applications. Today, we’re one of the largest and oldest full service steam cleaner, with a unique understanding of its benefits in specific applications. Today, we’re one of the largest and oldest full service steam cleaner and pressure washer distributors in the United States. Our specialty is providing the customers with what they want whether it is selling “off the shelf” or building special units to fit each application. Cascade Valley Mortgage is owned and operated by Mick & Michelle Daly, residents of North Bend, Washington, in the scenic Snoqualmie Valley. We regularly provide service to our customers throughout the entire state of Washington. We are committed to providing our customers the most innovative and flexible financing options available. We have access to all of the major lenders and programs and their lowest wholesale interest rates, thus guaranteeing that you will receive the most competitive program that you deserve. Our goal is to make your loan process as simple and worry-free as possible. We pride ourselves in offering the highest level of customer service, and appreciate the opportunity to earn your business. Whether you want to refinance for a lower mortgage rate, get a new home mortgage, home equity loan or second mortgage, our purpose is to satisfy your needs. By putting you first, we assure you a pleasurable transaction. Marketing your Business with Printing, Promotional Products, Embroidery, Silk-screening, Fulfillment and Mailing Services. We love working with Suzie and Joe. If there is anything that we need to market our company, they can help us find the right solution and pricing. And did we mention the creative ideas that Suzie has come up with? It is so convenient to have one person who knows what you like to keep your logo on hand and find the best deals on everything from promotional items, to stitching of apparel. We are a professional service corporation offering tax planning and tax preparation services, small business accounting services and audit and review services. Dave, the principle of the business, has been in public accounting for twenty two years including more than ten years with one of the big-5 international accounting firms. DLS is a restoration dry cleaning company that restores soft goods that have been damaged by fire, smoke, and water. DLS is the new option for restoration dry cleaning. We have 12 years of industry experience plus 20 years of dry cleaning experience. Please share our information with your team. We handle bulk laundry, hats, shoes, leather items, gowns and draperies. We provide pick up & delivery, storage and Xactimate billing. Discount Glass and Windows, Inc.
Discount Glass and Windows specializes in the replacement of residential and commercial glass windows. We install new vinyl windows and we work with all major brands. In addition, we also replace and service failed or foggy windows and make them new! Our skilled technicians can cut and install custom mirrors of any shape and size, and we sell standard and custom shower doors for any size shower enclosure. We have been proudly serving the Greater East Side of Seattle since 1985. We also do: storefront windows, skywalls, skylights, tabletops and sliding glass doors. Eastside Mobile Auto Glass, Inc. Locally owned and operated since 1979, Eastside Mobile Auto Glass specializes in insurance-approved windshield repair or replacement. We happily serve Issaquah, Sammamish, Bellevue, Mercer Island, Redmond, North Bend, Snoqualmie, Fall City, Kirkland and Renton. We strive for the ultimate customer experience and take pride in the fact that over 70% of our jobs are repeat or customer referrals. What sets us apart from the rest? Each of our certified technicians average over 10 years of experience. We only use the highest quality glass available. We use the best sealant system with the strongest and quickest curing urethanes on the market. Our standards are the highest in the area. We reject any subpar or blemished parts which are returned to our distributors. We come highly recommended by many local dealerships, auto repair shops and insurance agents. Through a combination of custom website designs, top tier hosting, and a supported content management system; our clients have the best website solution at extremely cost effective pricing. Specializing in custom ecommerce solutions and data driven applications, Efinity Technologies knows what it takes to grow your business. Carriage Insurance would like to thank the staff at Efinitytech for creating a truly professional and visually pleasing website for our agency. The final product surpassed what we had originally hoped for. Great work, guys! We love our friends at El Caporal. The food is delicious, but the best part is just coming in and being greeted by their friendly staff, who already know that I am just going to have the same dish I always have. Juan smiles and waits for me to say it, just in case I want to try something different. By the way, I just love the Camarones A La Diabla! Located on the eastside since 1982 we have been helping customers with in-home service for more than 135,000 appliance repairs. Many times it is nothing major. Our factory trained and qualified technicians will fix it right the first time. Call a specialist who can help you decide whether to replace or repair of your appliance is the best investment. We are the only appliance parts business and service shop on the eastside. This gives us greater advantage to repair your appliance in a timely manner. If you are handy, talk to a professional in our parts department. They will assist you in a manner that will make your repair go real smooth. If you still need service, then call the experts at First Appliance Service Team. We can fix it. Fischer Plumbing has been serving the local area for over 35 years and can fix ANYTHING plumbing. We take pride in a culture of teamwork and a commitment to excellence. Fischer Plumbing started in Ballard in 1977 and has become one of the largest plumbing companies in Seattle. We are proud to boast of over 100,000 satisfied customers, 30 trucks, and over 3 decades of service at the highest standards of quality. At Fischer Plumbing we provide a full variety of services ranging from drain cleaning and root clearing to complete re-piping and commercial sewer replacement. Fischer Restoration is a local family business specializing in water damage restoration. We take pride in a culture of teamwork, a commitment to excellence, and a great reputation. Fischer Restoration is a water damage restoration company you can trust. We started a decade ago as a well-respected carpet cleaning service and have grown into a residential and commercial water damage mitigation company. We are a proud part of the Fischer Plumbing family, serving the larger Seattle area for over 36 years! The Fischer Way - As a family-run, independent, and local business, we proudly put our customers first. Most of our competitors are franchisees or part of national chains which pursue a lower cost/higher volume model that relies heavily on third party referrals from insurance companies for new business. This referral relationship can lead our competitors to focus more on pleasing the insurance companies than the homeowners! At Fischer, we believe the lowest cost approach often sacrifices quality. Instead, we maintain the highest standards and depend on customer satisfaction to lead to recurring business. This means we put YOU first. Many homeowners do not realize that they can choose their own contractor and the insurance company will still pay for the service in the event of water or fire damage. Fischer Restoration’s success is derived from our strong reputation – people keep calling us back and sending us their friends. Fischer Heating and Air Conditioning is customer service driven. We service gas and electric furnaces, air conditioning & cooling systems, heat pumps - including geothermal & ductless, boilers, hydronic heating systems, as well as gas & propane fireplaces. We offer maintenance contracts. 24-hour emergency service is available. Would you like a portrait designed to show who you are, where you enjoy your experience and look amazing as a result? Carriage Insurance had the pleasure of experiencing Brenda’s intentional and effective portraiture recently. We enjoyed our time at Genuine Image Photography and Brenda made the time fly by as she captured who we are, while making us look our best. We have received numerous compliments about our company photos. Life, news and happenings in the Snoqualmie Valley. Living Snoqualmie is growing. In 2012 readership increased nearly 400% and more than doubled in 2013. Living Snoqualmie now has 5,000 social media and email followers and was a Top 5 finisher in the 2012 and 2013 King 5 TV Best of Western Washington Contest in the “Best Neighborhood Blog” category. work in North Bend, as well. Based near Seattle in Issaquah, Washington, Marketing Masters is a leading OEM of composite clip nuts, press-fit inserts, and potted-in inserts for aircraft, aerospace and many other industries. Marketing Masters' history began in the aerospace industry. Our products are used by many major domestic and international commercial airlines, aerospace OEMs, prime contractors, suppliers, and MRO (maintenance, repair, and overhaul) providers. These companies use our unique Torlon® composite clip nuts and fasteners to replace traditional metal fasteners and clips in a number of applications, including seat tracks, airframe structures, and honeycomb sandwich wall and floor panels in commercial aircrafts. Today, we have expanded well beyond aerospace. Our Torlon® composite clip nuts and inserts are used in a wide variety of industries around the world, including electronics, construction, transportation and recreation, particularly boats and RVs. Dr. Steele has been providing comprehensive emergent and urgent care in the Valley since 1994. Dr. Steele is excellent in Migraine therapy and has a tremendous bedside manner. He served as the Medical Director of Emergency Services for Snoqualmie Valley Hospital and continues to provide medical services through Meadowbrook Urgent Care. Mary J. Shroff is an Internal Medicine specialist who joined our staff at Meadowbrook Urgent Care on November 1st, 2003. We are very excited to have her aboard and you should be too. She is a primary care specialist. She provides great GYN care and specializes in diabetes, hypertension and depression. Miller’s seeks to support the community in Carnation and build relationships between the towns of the Snoqualmie Valley by providing a place to share our talents, a place to meet and a place to spread the word about community activities and concerns. Miller’s offers a wide variety of classes and events for all ages and is available for meetings and community gatherings. Miller’s supports the talent close to home. Many of our performances, art shows, classes and workshops are presented by people in the Snoqualmie Valley. In this way we provide another forum for members of our rural communities to share their talents with each other and to make additional income without having to travel too far. Miller’s is located in the heart of Carnation, the building was built in 1924 and renovated during the summer of 2004. With the blessing of the building’s former owner, Howard Miller, and with the support of Carnation citizens, the Miller name was kept for the community center. Network Service Solutions serves the state of Washington. Computer networks have changed the way companies conduct business. A network within your business is essential in getting everything from presentations to payroll completed on time. When you need to invest in getting your new office ready for the speed of business, look to Network Service Solutions to get it done. Our company offers data recovery, database management, network design, equipment upgrades, LAN network installation, Technical support and troubleshooting. Network Service Solutions is a locally owned and operated company, so our reputation rests on the complete satisfaction of our clients. Everyone on our staff is ready to take any of your questions and will match the right solution to every challenge. Leave the network installation to the pros, so you can worry about your business. We also offer networking service for your home office. At Network Service Solutions, we give you peace and sanity as well as computer productivity. Since 1998 we have been proud to serve big, comfortable food with great beverages in an inviting and warm environment. Outdoor enthusiasts and local patrons alike enjoy sitting in front of our fireplaces, watching sports and hanging out with friends. We hope you will join us. On April 9th, 1941 the North Bend Theatre opened its doors. It has continued operating as an independent movie theater since that day. On October 1, 1999, the Slover family took over and the theatre underwent a major renovation. Every part of the building was improved without sacrificing the distinctive character of this 1941 Art Deco theatre. The theatre reopened in December, 1999. It is now owned and operated by the Walker family, who took over in May of 2006. Our goal is to match the multiplexes in picture and sound quality, but exceed them in terms of the complete movie-going experience. Our prices are lower. We have a room for crying babies. Customers don’t have to listen to commercials in the auditorium. We have lattes. We take extra pride in the presentation of the films we show by getting the temperature, lighting and sound just right. And because we only have one screen we can pipe the sound into the lobby and restrooms. We’ll sometimes have door prizes and we’ll personally introduce our films from time to time. We also will be tied into the local community by supporting charities and holding benefit shows several times a year where all profits will go to a worthy cause. Pioneer is a great little coffee house with plenty of tables, friendly baristas, exceptionally good coffee, good choices for snacks and treats and delicious options for breakfast and lunch too! The café is warm and cozy with wonderful art by local artists, is a meeting spot for many locals and groups, has free WIFI with no passcodes and has outdoor seating for the nice, sunny days. 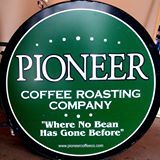 Pioneer Coffee hosts many community events and they seem to really care about the community, we LOVE that! Pogacha Restaurant in Issaquah is the 2nd Pogacha establishment opened in 1998. Pogach in Issaquah is owned by Brad & Lisa Cassidy, and Steve King, all natives of the Seattle area, who firmly believe in the culinary arts, and who have adopted a love for quality food prepared simply, freshly, and with care. Our Issaquah location has a great full bar with an extensive wine list, plenty of beers and hand crafted cocktails. We also offer banquet and catering facilities as well. Lunch and dinner daily. We feature a Northwest menu with the added flair of the Adriatic, fresh herbs started from seedlings in the family garden in Croatia, and an exceptional wine list which enables you to enjoy quality wine at a truly reasonable price, whether you are a wine connoisseur or wine novice. The name “Pogacha” is a Croatian term meaning “soft, chewy flatbread” (pogaca). Our Pogacha’s are freshly made each morning, formed by hand, and baked in our wood fired oven, a replica of those found in Europe. Pogacha of Issaquah was awarded the Best Happy Hour in Issaquah by the Issaquah Press. We feature a wide variety of appetizers, our famous Pogachas Pizza, beer, liquor and drink specials all at a great price seven days a week in our bar! Happy hours run from 3:00-6:30pm Monday through Friday, 2:00-6:30pm on weekends and 9:00 to close Sunday through Thursday. Both Monday and Thursday nights are a special night with Happy Hours running 3:00 to close. By choosing Paul Billington to assist you in selling or finding your dream home, you have made a great choice. Paul is a local to the area you are looking in. He has been in Real Estate as a Residential Broker for 12 years and much longer as an investor for his personal properties. Paul obtained a degree from the University of Washington in 1980 in Business Administration. His education is ongoing. Paul is also a short sale specialist and has obtained his CRS rating. (Certified Residential Specialist). From there he has almost always worked for himself; owning and operating food establishments and working with people face to face, as he loves to do. Now, as a Real Estate Broker, you will find these traits very appealing, in your time spent with Paul, as he is extremely interested in making you as happy as possible with your choices. He is willing and eager to spend the time and effort to make certain you obtain these results. When a roof goes bad, there’s no hiding from it. It drips. It drains. And it demands your full attention until it is either replaced or repaired. At Roofing Specialists Northwest, we can quiet the demands of a bad roof, leaving you with peace of mind and the satisfaction that your roof has been well taken care of by experts. Over 90% of our work comes from referrals. Our approach is to solve your issue within your budget! We are consultative in nature, non-commissioned and strive to find the best solution that meets your needs. For more information on what you should expect when hiring a roofing contractor, get a free Consumer Guide. This easy to follow guide will help you protect, prepare and teach you how to specify what you should expect from any roofer. We understand you have a busy schedule, so when you choose Safelite®, we come to you. Whatever your auto glass repair or replacement needs, the experts at Safelite® can help. 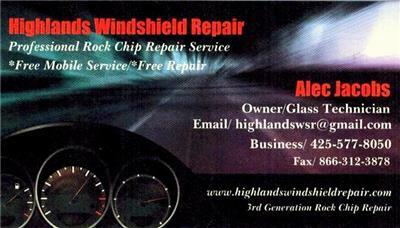 If you have a damaged car window, you've come to the right place. Safelite AutoGlass®has been in the auto glass business for more than 60 years and provides auto glass repair and replacement to more than 4 million customers each year. Trust the auto glass experts at Safelite® to get you back on the road safely and quickly. Urban boutique in a rural setting offering everything you didn't know you need. An ever changing array of products to enlighten, enliven and overall enhance your day. We brew seven outstanding beers, plus a rotating selection of seasonal and special brews. Our products are available at our Taproom as well as in stores in Washington and Northern Idaho. The Taproom Restaurant is open 7 days a week for lunch and dinner, and offers great soups, salads, pizzas and sandwiches. Top-notch beers and delicious food served in a family-friendly setting. Weekly specials, live music and more! We would like to welcome you to our office. We take great satisfaction in helping you maintain optimal oral health. Our practice is devoted to comprehensive and preventive patient care for the entire family, we even have a game room for the kids! After graduating in 1979 from the University of Washington Dental School Dr. Robins owned a successful dental practice in the Wallingford area of Seattle. Dr. Robins has served on the Committee for Peer Review and Ethics SKCDS, the Executive Council for Seattle King County Dental Society and the Washington State Dental Quality Assurance Commission. Dr. Robins will take the time to discuss the alternatives available to you so you can make an informed decision on your dental care. Consumers’ Research Council of America selected Dr. Susan K. Robins and awarded her the honor of being published in the “Guide to America’s Top Dentists” 2009 Edition. Snoqualmie Valley Property Management does not list or sell real estate, that way you know that we are spending our time on management instead of selling real estate. We are the most experienced and focused management team in the Snoqualmie Valley and surrounding areas of King County, providing better care and more attention to your property. Snoqualmie Valley Property Management has managed real estate assets for over 30 years with a well trained staff of professional property managers, maintenance/office personnel, and accountants. With our staff working and living in the local markets, they have an adept understanding of the property management in the Valley and nearby cities. Our local expertise allows us to fill and maintain occupancy and minimize our owner’s expenses. Snoqualmie Valley Property Management is the affordable solution to managing real estate in the Snoqualmie Valley and surrounding areas. Snoqualmie Valley Property Management strives continually to maximize net operating in order to enhance our client’s equity and increase the value of their investment. Established in 2002, Sterling Group DKI began with the goal of providing a quality service to people in their time of crisis. Sterling Group DKI is the first Green Certified restoration contractor in Western Washington and has become an industry leader by employing state-of-the-art restoration equipment and maintaining regular mandatory education and training for our technicians and management. Our Mission: To be a profitable company that provides distinctive quality and exceptional customer service centered on honesty and integrity. Our Values: To deliver customer service that exceeds expectations with a more personal client relationship. Professionalism, expertise and superior quality in everything we do. Building relationships on trust through honesty and integrity. Teamwork guides our communications, actions and responsiveness that lead to a great client experience. Since 1993, The Chrysalis Awards have honored the finest remodeling projects in the nation that reflect the professional excellence of the residential and commercial remodeling industry. In 2013 The Sterling Group DKI was the recipient of the prestigious Chrysalis Award which honors talent, creativity and professionalism within the remodeling industry. Treatment Equipment Company is a sales organization meeting the water and wastewater needs of communities, tribes, and developers throughout the West Coast. Through our complete line of process equipment, we approach our business with one goal: providing our clients with the most innovative and cost-effective treatment solutions available. Going Green. With the increased awareness and focus on energy efficiency, water reuse, and carbon footprint, TEC has taken a leadership role in understanding and implementing new technologies that help our clients go green. Whether it’s a turnkey project that reduces a plant’s aeration horsepower by 50%, a design-build membrane project for water reuse, or a co-generation project utilizing digester gas, TEC continues to provide the most advanced and efficient means of treating water and wastewater on the market today. One of the reason’s we love Umpqua Bank! Umpqua Bank's Connect Volunteer Network provides associates with paid time - 40 hours a year - to volunteer and support their communities. We've never thought of ourselves as simply a bank. We're really more like knowledgeable neighbors, the kind you invite over for a cup of coffee, seek advice from and chat with over the fence. And we're here to help you bank like you live. There's a sign that hangs in every Umpqua Bank store that reads, "Welcome to the World's Greatest Bank." This is not a tagline, it's a state of mind. It's a promise to do better than anyone expects of us today, then do it even better tomorrow. It's a belief in doing good, not just doing well. It's treating every customer as if you've known them your entire life. It's connecting people to their community, connecting neighbors to neighbors, and local, independent businesses to local customers and resources. It's constantly surprising the world with what a bank can be and how a bank can actually be a part of a customer's life. It's equal parts checking account and knitting club, commercial loan and local music source, IRA and Internet café. It's understanding our customer's financial needs and at the same time realizing that there's more to life than money. Here, fresh and unexpected is the norm - it's where an errand turns into a pleasant escape. It's making sure every customer who walks into our stores or commercial centers is a better person for having banked with us. It's nearly 2,000 of us, from Western Washington to Eastern Oregon to Northern California, building something that's never been built before. Something people can believe in and communities can feel connected to. Join the movement. Umpquatize.